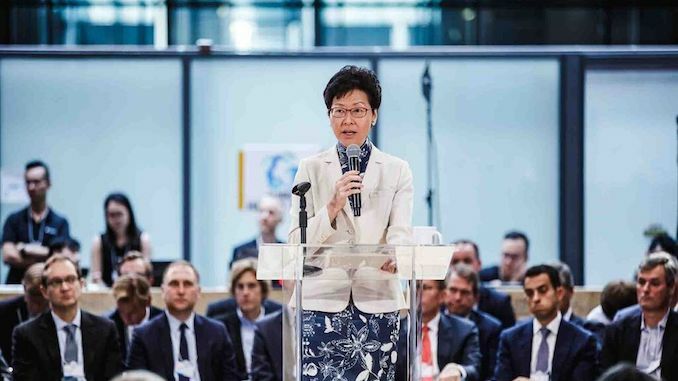 Hong Kong’s maritime sector has something to celebrate in the wake of the Hong Kong chief executive’s policy address delivered earlier today, where Carrie Lam offered hope that anticipated tax concessions would soon be granted. For some months there had been rumours that marine leasing companies and other marine-related support services could benefit from a cut in corporate rates of tax, as had been previously announced for marine insurers by the Financial Secretary. Ms Lam offered further positive measures to enhance the strengths of the sector. Chief among them was recognition that the Transport and Housing Bureau is overburdened and should be split in two, with the establishment of a new policy bureau. “I generally agree that there is such a need and will further consider how to implement the suggestion,” she said. The plan to double the monies injected into the Maritime and Aviation Fund to HK$200m will be welcomed by the maritime sector as the need for an expansion of training opportunities is essential to shipping and its support services which are crying out for new talent in a rapidly evolving working environment. Ms Lam also announced that the Shipping Register would set up Regional Desks in selected government’s overseas and Mainland offices that would further enhance service levels. This is a process that began some months ago in response to the demands of many shipping companies with tonnage entered on the Register. “We welcome the many initiatives to be launched by the HKSAR Government, as set out in the Policy Address today. “The maritime industry is a highly complex, competitive global industry, requiring the support of stakeholders, including the government in particular. The experience of many other international maritime centres has shown that public policy, with long-term vision and strategic planning, is a principal factor driving the growth of the maritime industry. Ms Chan added: “We are pleased to see that the HKSAR Government will take policy initiatives and financial incentives to support the industry. In particular, we are pleased to see that quite a number of the suggestions and ideas put forward by the Association previously have been adopted by the Government. 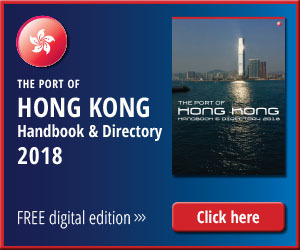 “These include, for instance, the suggestion of further enhancing the services of the Hong Kong Ship Registry for shipowners, and the idea of splitting the current Transport and Housing Bureau into two bureaux so that there is a dedicated policy bureau for sea transport (and other transport) matters. “We also welcome the injection of more funds to the Aviation and Maritime Training Fund, which is conducive to the training and nurturing of talent for the industry,” she concluded. Other measures put forward by the chief executive include streamlining regulation to facilitate the operation of P&I Clubs for shipowners in Hong Kong, and offering the measures to support Hong Kong’s provision of reliable and quality dispute resolution services for the global maritime industry. Ms Lam also hinted at implementing additional measures to lure maritime businesses to Hong Kong and has tasked the Transport and Housing Bureau to explore the proposal and report back as soon as possible.